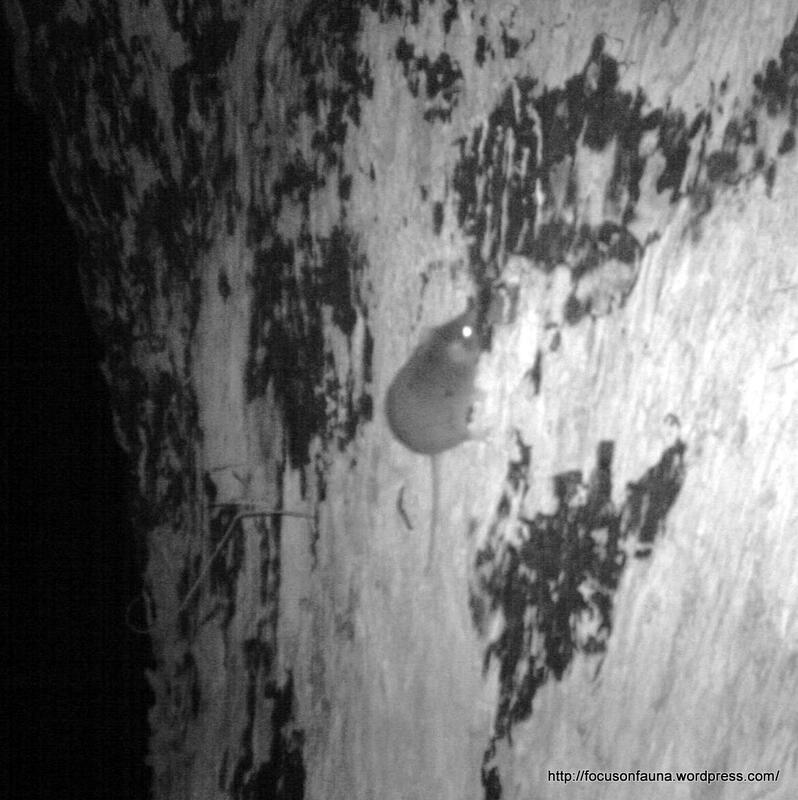 The same remote camera that recorded images of a Grey Currawong featured in our previous post also captured night-time pictures of a small animal darting around the trunk of a Long-leaf Box tree. 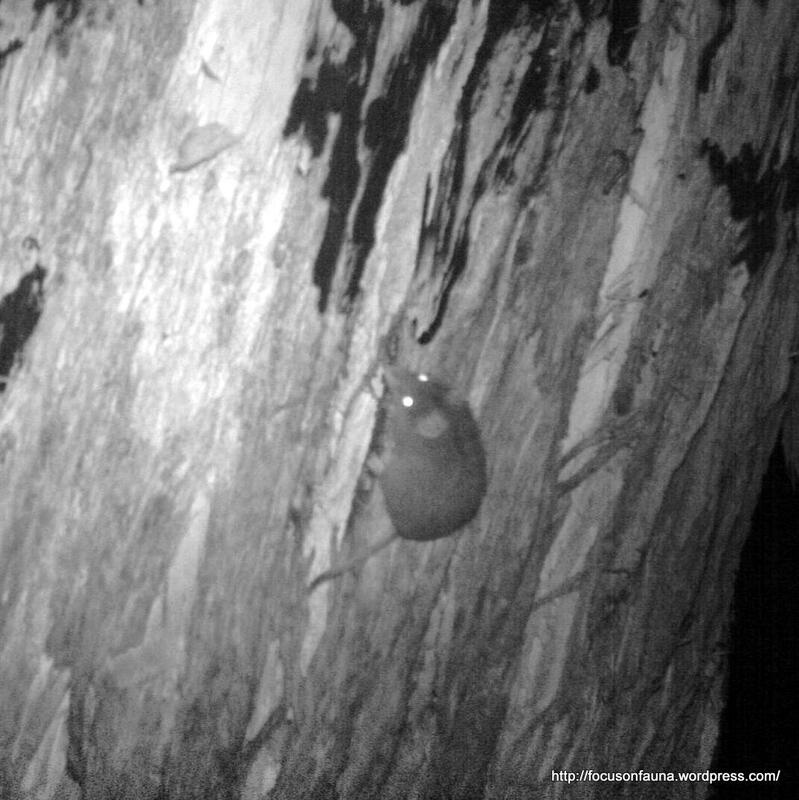 It is an antechinus, most likely an Agile Antechinus (Antechinus agilis), a carnivorous native marsupial related to quolls, phascogales, dunnarts – and the Tasmanian Devil. Living up to its name, the Agile Antechinus is a swift and acrobatic climber, though it does spend time on the ground foraging for invertebrates. As with phascogales, the winter mating period of the antechinus ends with the abrupt death of all males from stress-induced breakdown of the immune system. Many of the females also have a short life and die before having the chance of a second breeding. They nest in tree hollows, and have been found to readily adapt to artificial nest-boxes. ← Barking up the wrong tree?